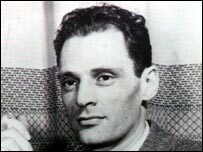 Arthur Miller was America's foremost post-war playwright. His works, intricate musings on the darkness at the heart of the American Dream, struck a chord with a whole generation of theatre-goers throughout the world. Miller's best-known character, Willy Loman in Death of a Salesman, the little man, destroyed by the pressures of modern life, stunned the audience at the play's Philadelphia premiere in 1949. Some wept. 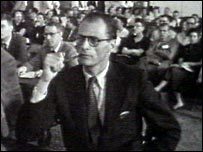 Arthur Miller became famous overnight. He was born in New York in 1915. His father owned a garment factory but faced financial ruin after the Great Crash of 1929. He worked in menial jobs to pay his way through college where he studied journalism and became a radical. His first stage play, All My Sons, portrayed the impact on a family of American participation in World War II. Miller was attacked as unpatriotic. He said that he was just telling the truth. In due course his liberal views caught him in the McCarthy anti-communist witch-hunt. He testified before a congressional committee, refusing to name friends and colleagues who might have been communists and was held in contempt. "I feel the same as I ever did," he said at the time, "which is that I don't believe that a man has to become an informer in order to practice his profession freely in the United States." He found a parallel for McCarthy in the Salem witch trials in New England in 1692 and wrote The Crucible, a devastating study of mass hysteria and denunciation. Years later, Miller also wrote the screenplay for The Crucible, a film starring his son-in-law, Daniel Day-Lewis, and Winona Ryder. 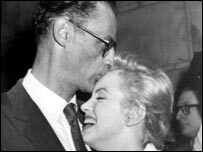 Many were astonished when he married Marilyn Monroe in 1956. The bookish intellectual and the doomed screen goddess made an unlikely couple. He admired her courage, he said, but it did not last. Following their breakup in 1961, Miller married the renowned photographer Inge Morath, whom he met on the set of the film The Misfits, which he wrote and which starred Monroe. In later years Arthur Miller went out of fashion in America. He complained that writers there were treated as entertainers, not moralists, and railed against what he regarded the hollow commercialism of Broadway. The rejection exaggerated the gloom from which he fashioned his plays and which he freely admitted. "I do think that most things end badly," he said. "Most human enterprise disappoints." His work continued to be loved and admired in the UK and in 1995 his Broken Glass won the prestigious Olivier Award for best play. He himself directed Death of a Salesman for the Chinese stage. The audience, for whom the Cultural Revolution provided its own particular resonances, was delighted. Arthur Miller's legacy is such that, on any one day, his work is being performed somewhere in the world. Beyond the glare of stardom and the Pulitzer Prize which he won for Salesman, he sought to provoke his audience into questioning society and authority. After the events of 11 September 2001, Miller said the attacks had been part of a "war against humanity". "Ever since Stalin and the Nazis, reality has transcended fiction," he said. He also expressed some doubts about President George W Bush's ability to tackle the crisis, and warned that emergency measures introduced by the US government might have a negative impact on liberty. 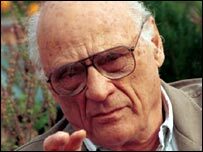 A man of the highest integrity, both in his work and in his personal life, Arthur Miller was an old-fashioned liberal, who never accepted the American dream at face value.